I often meet new pupils that are nervous or lack confidence. Sometimes this is just the natural apprehension of learning to drive, or sometimes it's because they've had a bad experience elsewhere before coming to ELITE. If this sounds familiar then give me a try, and you'll hopefully find the experience of learning to drive a far less daunting prospect as I believe being calm and patient is the only way to help someone to develop their skills and grow in confidence. I pride myself in always being professional by being punctual, not cancelling lessons (unless there is a very good reason! ), and knowledgeable. I always deem to treat my customers in the way that I would expect to be treated myself. "I passed my practical test on the 4/03/2019, for the first time. 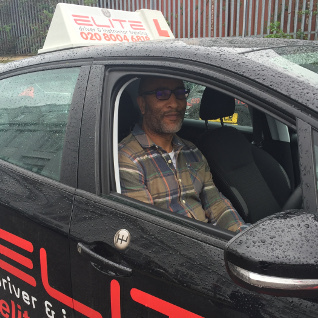 I am so thankful for the support from ELITE-especially my driving instructor Alister. I was supported through a myriad of ways and took a lot of patience and time, it was a great experience and I’m happy to have come this far to passing on my first time." 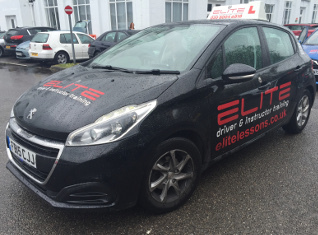 "Elite was very accommodating in finding me an instructor whom I felt comfortable working with. My instructor Alister was wonderfully patient and calm in supporting my learning process, as a very anxious driver. His clarity, rigour and encouragement in preparing me for all the tasks required to pass my practical exam was invaluable. Thank you!" "I changed driving school after I failed my test. My new instructor Alisdair was very good, he made me feel relaxed and taught me in clear and concise manner! After around 5 weeks of instruction I passed my test with only 5 minors! Thank you very much :)." "Today I passed my test 24/05. I cannot thank Alister enough. I had a huge phobia about driving, just under a year ago I felt sick just sitting in the driving seat of a stationary car. Alister is patient and calm and very professional and very supportive, when I was struggling with nerves he gave me the motivation to carry on and never give up. I would absolutely recommend him as a instructor and if you are nervous, he will get you through it. I will be forever grateful for his help." 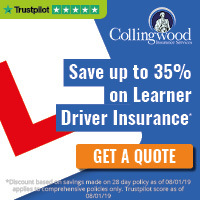 "I was so nervous when I first started driving, but Allister was a great teacher, explained everything well and made me feel calm also always helped me fix my errors. I passed second time thanks to Allister, would definitely recommend him to anyone!" "Big thanks to Alister at Elite Driving. He helped me pass after only 12 hours of lessons with him. He's very relaxed as a tutor and helps build your confidence. This means he's not just teaching you to pass the test but be a safe, good driver in the future. Can't recommend him enough. Jamie, Upper Norwood."